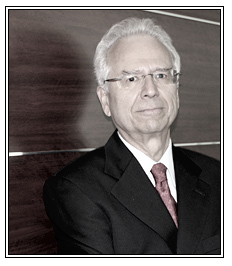 He has more than 45 years of experience in the rendering of legal services to companies on the fulfillment of their corporate obligations. He has advised numerous foreign and Mexican clients in the elaboration and negotiation of the legal documents necessary for the start up of new businesses and their consolidation in Mexico. He has participated in many copyrights transactions, and specifically in the execution of licenses and other kind of exploitation of films in different systems. He is a lawyer by the UNAM with a LL.M. in comparative law by the Southern Methodist University in Dallas, Texas.